With over 30 years of wedding experience, the design team of Magnolia Exquisite Florals & Event Decor works hard to remain on the cutting edge of innovative design. Our chic industrial warehouse is stocked with a variety of rental items, including linens, glassware, lanterns, candles, furniture, decor, permanent botanicals, and vintage props. If we don't have it, we know where to get it. We offer personal consultation where we will discuss and customize designs and elements to fit your vision, budget, and venue. Your unique vision fuels our unique designs! We love what we do and our clients enjoy our unparalleled service and attention top detail - we would love to help bring your vision to life! 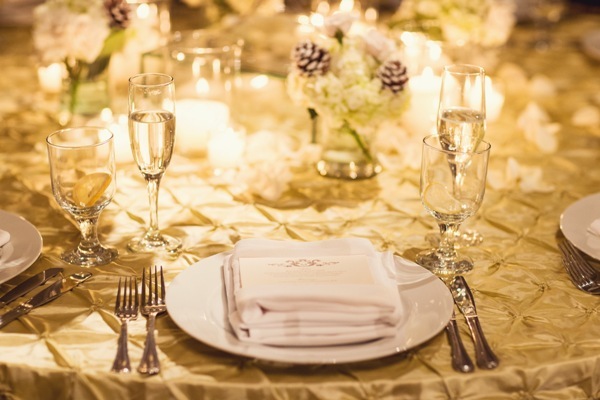 We are a preferred professional for Weddings of Distinction as well as several other NJ and PA Venues. Magnolia Exquisite Florals & Event Decor is a subsidiary of Petal Pushers, Inc, located in Hamilton Square, NJ. "We used Magnolia for our wedding this spring. They were fantastic! They worked with us to come up with ways to make our wedding unique, and even incorporated some work we did ourselves." "Karen and her staff truly captured a vision; creating the most GORGEOUS arrangements for our wedding at The Ashford Estate. Everything far exceeded my expectations, from the barn chapel to bouquets and boutonnieres, signature drink arrangement, cake and seating chart adornments; not a detail was missed. Finally, I remember walking into the ballroom thinking "I can't believe this our reception!!" The most perfect centerpieces sat on each table; included each and every flower and color we discussed in our consultations. Also, the staff! AMAZING! Everyone was so warm, friendly and helpful. Thank you from the bottom of my heart!" "Magnolia's beautiful work made my wedding last month at Bonnet Island Estate more beautiful than I could ever imagine! Many guests literally said they were the best wedding flowers they've ever seen, and so many of them raved about my bouquet and my bridesmaids' bouquets! 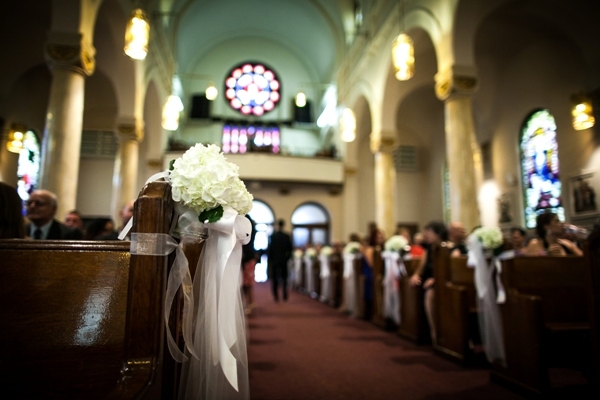 I was especially blown away with how beautiful the ballroom and chapel looked and how beautiful the bouquets were. Erica and everyone else at Magnolia did a phenomenal job and I can't thank them enough! Erica had so many great ideas and really listened to what I envisioned. Thank you for making my wedding day even more special and memorable!" "Magnolia did our flowers and decor at the Ashford Estate. Everything was FLAWLESS. Karen was so amazing through the whole process. She's wonderful to work with and always gets back to you right away. Our guests told us that the centerpieces were the nicest they've EVER seen. Everything they do is so tasteful and stunning. Karen and her team also decorated the barn where the ceremony was and it seriously looked like something out a dream. People couldn't get over it! Candles everywhere, lanterns, uprights, a romantic chuppah with flowers on top. Karen made my vision come to reality and even exceeded my highest expectations. It was so incredible. We are so happy we chose Magnolia...they helped turned our day into real fairytale!" "From our first meeting, where Dawn had printed out the images I had sent her as inspiration and examples of things that we liked, we instantly connected. Dawn was easily able to take my pictures and ideas and identify exactly what type of flower, color, height, accessories, etc. were needed. In addition, the team at Magnolia helped find incredibly unique pieces for us to personalize our cocktail hour and reception, including an antique galvanized tub to hold cold beers at the cocktail hour, grey washed lanterns to line the aisle of the church with, an antique, metal mail box for cards, and hundreds of small vases and candle holders that allowed us to line the cocktail hour and reception with candle light. Magnolia was extremely flexible and helpful with last minute ordering of extra chairs and tables, as well as with executing a range of things for our big day including beautiful center pieces, small, satellite bunches of berries and blooms, winter green garlands, spruce trees with lighting, wreaths with winter greens, a flower crown, and bouquets for the bride and her maids."